Audrey Hepburn, a Belgian-born actress and humanitarian was born on the 4th of May 1929 and died on January 20, 1993. She became one of Hollywood’s best-known stars with her leading roles in films such as Roman Holiday (1953), Funny Face (1957), and Breakfast at Tiffany’s (1961). Beside Hepburn acting career, she became a special ambassador to the United Nations Children’s Fund (UNICEF) from 1988 until her death in 1993. 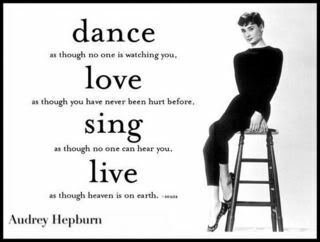 Today, we want to share some great collections of Audrey Hepburn quotes quoted by her during her lifetime. Enjoy Hepburn collections of bold quotes full of life and inspirations. A quality education has the power to transform societies in a single generation, provide children with the protection they need from the hazards of poverty, labor exploitation and disease, and given them the knowledge, skills, and confidence to reach their full potential. How shall I sum up my life? I think I've been particularly lucky. Does that have something to do with faith also? I know my mother always used to say, 'Good things aren't supposed to just fall in your lap. God is very generous, but he expects you to do your part first.' So you have to make that effort. But at the end of a bad time or a huge effort, I've always had - how shall I say it? - the prize at the end. My whole life shows that. I decided, very early on, just to accept life unconditionally; I never expected it to do anything special for me, yet I seemed to accomplish far more than I had ever hoped. Most of the time it just happened to me without my ever seeking it. I don't want to be alone, I want to be left alone. I heard a definition once: Happiness is health and a short memory! I wish I'd invented it, because it is very true. I love people who make me laugh. I honestly think it's the thing I like most, to laugh. It cures a multitude of ills. It's probably the most important thing in a person. I never think of myself as an icon. What is in other people's minds is not in my mind. I just do my thing. I probably hold the distinction of being one movie star who, by all laws of logic, should never have made it. At each stage of my career, I lacked the experience. I was born with an enormous need for affection, and a terrible need to give it. I was asked to act when I couldn't act. I was asked to sing 'Funny Face' when I couldn't sing, and dance with Fred Astaire when I couldn't dance - and do all kinds of things I wasn't prepared for. Then I tried like mad to cope with it. I may not always be offered work, but I'll always have my family. I never thought I'd land in pictures with a face like mine. If I get married, I want to be very married. If my world were to cave in tomorrow, I would look back on all the pleasures, excitements and worthwhilenesses I have been lucky enough to have had. Not the sadness, not my miscarriages or my father leaving home, but the joy of everything else. It will have been enough. In Holland and Belgium, and afterwards in England, my happiest moments were in the country. I've always had a passion for the outdoors, for trees, for birds and flowers. It is too much to hope that I shall keep up my success. I don't ask for that. All I shall do is my best - and hope. It's that wonderful old-fashioned idea that others come first and you come second. This was the whole ethic by which I was brought up. Others matter more than you do, so don't fuss, dear; get on with it. My own life has been much more than a fairy tale. I've had my share of difficult moments, but whatever difficulties I've gone through, I've always gotten the prize at the end. Not to live for the day, that would be materialistic -- but to treasure the day. I realize that most of us live on the skin -- on the surface -- without appreciating just how wonderful it is simply to be alive at all. Opportunities don't often come along. So, when they do, you have to grab them. Let's face it, a nice creamy chocolate cake does a lot for a lot of people; it does for me. My look is attainable. Women can look like Audrey Hepburn by flipping out their hair, buying the large sunglasses, and the little sleeveless dresses. Success is like reaching an important birthday and finding you're exactly the same. The best thing to hold onto in life is each other. When you have found it, you should stick to it. You can always tell what kind of a person a man really thinks you are by the earrings he gives you. Your heart just breaks, that's all. But you can't judge, or point fingers. You just have to be lucky enough to find someone who appreciates you. There are certain shades of limelight that can wreck a girl's complexion. There must be something wrong with those people who think Audrey Hepburn doesn't perspire, hiccup or sneeze, because they know that's not true. In fact, I hiccup more than most. When the chips are down, you are alone, and loneliness can be terrifying. Fortunately, I've always had a chum I could call. And I love to be alone. It doesn't bother me one bit. I'm my own company. Pick the day. Enjoy it - to the hilt. The day as it comes. People as they come... The past, I think, has helped me appreciate the present - and I don't want to spoil any of it by fretting about the future. People, even more than things, have to be restored, renewed, revived, reclaimed, and redeemed; never throw out anyone. Remember, if you ever need a helping hand, it's at the end of your arm, as you get older, remember you have another hand: The first is to help yourself, the second is to help others. For questions or suggestions about Audrey Hepburn's quotes or would simply like to include another quote from Hepburn, please feel free to contact us.